Laser dentistry is the latest advancement in dental technology, treating a wide range of dental and cosmetic problems from cavities to gum disease to teeth whitening. 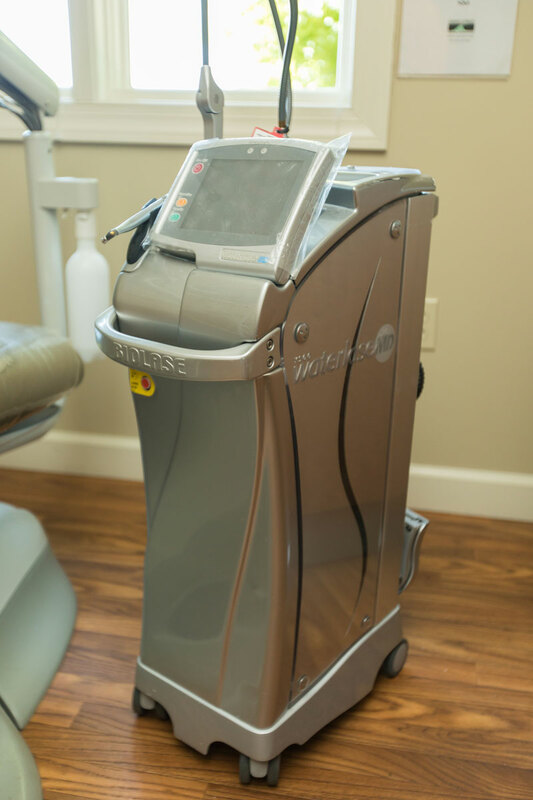 At our practice, the lasers we use are an advanced alternative to the common hand-held scalpel, drills and other tools. These lasers direct an invisible energy beam onto problem areas and allow us to efficiently treat decayed teeth, enamel, and gums. The benefit of laser dentistry is that they minimize the pain most often associated with dental procedures, meaning more comfort to our patients. Clinical studies show that approximately 96% of all patients require no anesthesia when lasers are being used during dental treatments. Dental lasers have been approved by the Food and Drug Administration and are safe for both adults and children. When lasers are used to remove old fillings, repair cavities, and prepare teeth for bonding, as with soft tissue lasers, they dramatically minimize discomfort and allow the dentist to treat teeth with more precision.